Austin and Andrew check out a fort Austin built in our Minecraft Club. We played Capture the Flag in our Minecraft Club last week. The kids built forts, hid their flags, and saw if the other kids could find them. Each month our Minecraft Club takes on a new challenge. The mine, explore and share strategies in the wide world of Minecraft on the our server. In October, they’ll build haunted houses. The club is for children from eight to 12 years old. 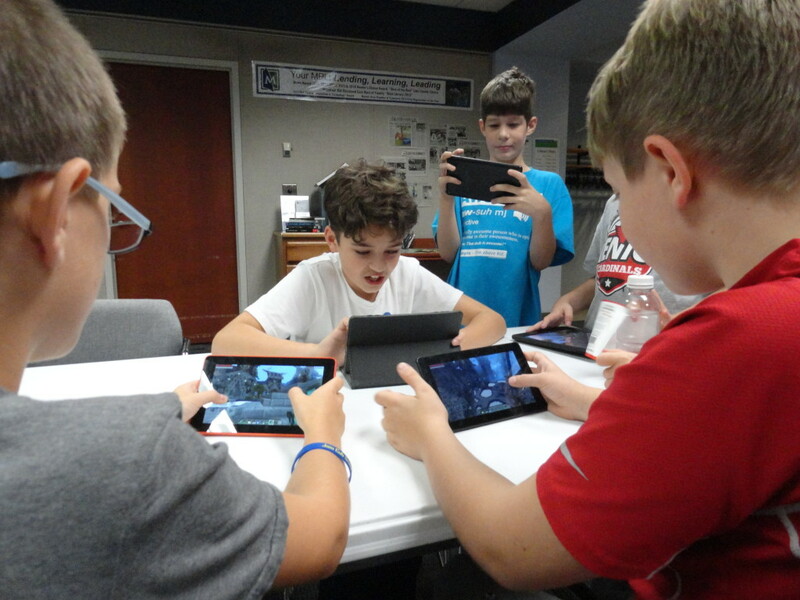 Each kid must bring his or her own charged laptop, tablet or mobile device and have an active Minecraft account. We meet from 4 to 5 p.m. on the first Thursday of the month at our Main Branch. Our next meeting is Oct. 5. 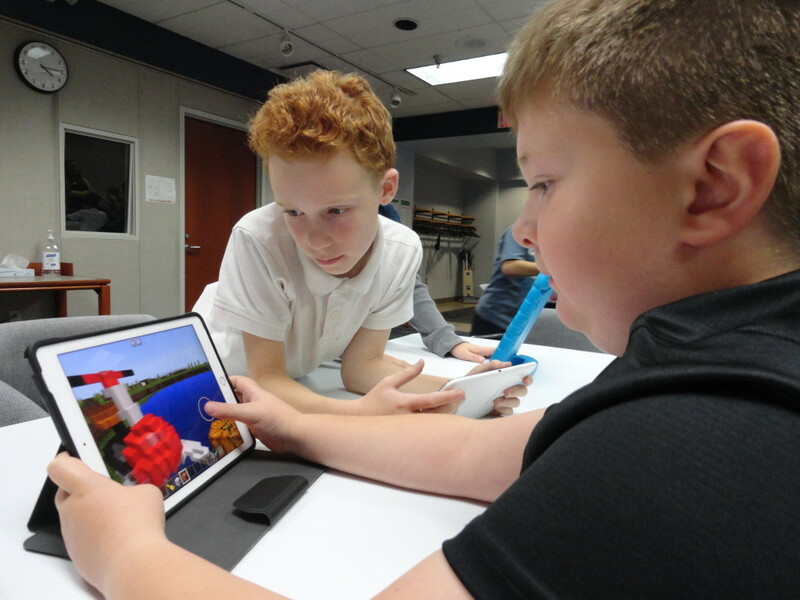 You can register your child (or children) for our Minecraft Club on our our website or by calling (440) 255-8811 ext. 221.